Licensed exchanges and wallets are on the way. While the majority of 2018 may have been a bearish period, blockchain technology witnessed an increase in adoption and growth in user base. New members of the Crypto community must enter through fiat gateways; yet, interestingly, the vast portion of leading exchanges do not support fiat. Moreover, a most centralized exchanges exist as unregulated entities, and so do need to abide by no legal frameworks. Due to this very reason, more than 90% of exchanges have witnessed security breaches. There’s clearly a need for legal frameworks for the Crypto exchange market. Due to the increase in the utility and adoption of blockchain technology this year, governments have begun taking positive measures to lay correct and necessary regulatory measures to support cryptocurrency usage and exchange. Estonia is one of the first countries in the world to issue licenses that allow the regulated trade of cryptocurrencies against fiat currencies. It is also a pioneer in the issuance of licenses that allow the regulated provision of virtual currency wallet services. To take advantage of the new regulatory measures placed in Estonia, Jubiter Technologies has successfully earned the licenses to provide both a regulated fiat-crypto exchange and a virtual currency wallet. Naturally, to abide by the legal limitations set by the country, Jubiter has to take the asset security, data protection, and service standards that have been unseen in the Crypto market. Based on a research by BitMex, the larger portion of exchanges keep their assets in hot wallets. Due to this, security breaches lead to devastating losses of user funds. To ensure the security of user funds, it’s of paramount importance that wallets and exchanges utilize cold wallets. Regulations cored around exchanges and wallets have set the positive standards needed to protect users. Jubiter showcases how licensed entities will carry asset and data security a leap forward. Jubiter’s licensed exchange and wallet service will store funds in a cold wallet, which is an offline storage for cryptocurrencies. Hot wallets, which are used by most exchanges, put user funds at risk as a platform security breach can expose all assets. Thus, Jubiter is setting a golden standard for asset security. Moreover, on the user-level, Jubiter not only requires the use of two-factor authentication but also e-mail approval of new IPs and pin code access. Thus, users will have multiple defense layers by their side. Exchanges are able to earn vital information about users, ranging from KYC and AML documents to aggregate trade data and credit card information. A data breach can expose users’ personal and financial data while also allowing high-frequency traders to grasp the market’s stop-positions. Thus, Jubiter is encrypting user data to ensure sensitive individual information and market data is kept out of reach of any nefarious individuals. In an era where data is the new oil, data security should be given paramount importance and Jubiter is pioneering the security of user data in the exchange industry. A fiat-crypto exchange is naturally going to serve individuals who are either new to blockchain technology and cryptocurrencies or are simply curious about them. In an effort to convert people's interest into participation, Jubiter also intends to make Crypto spendable by both new and existing members of the community. Licensed entities have the ability to make functioning partnerships with market leaders across various industries. Exchange and wallet services that abide by legal frameworks can offer unique product extensions. Jubiter is taking this opportunity to pioneer the means to make cryptocurrencies spendable. The platform includes a licensed wallet and exchange; this provides the foundation to make Crypto spendable. In a typical transaction made by a payment card, the buyer's funds move from his/her bank to the merchant's bank. Jubiter intends to enable people to move funds from their wallets to merchants' wallets in a seamless transaction through a typical payment card. Understandably, most merchants presently do not accept Crypto, and this is where Jubiter's internal exchange comes into play. As Jubiter already has a license to provide fiat-to-cryptocurrency exchange service, it can provide a simple mechanism with which a person can spend Crypto even if the merchant only accepts fiat. The Crypto funds can move from the user's wallet, be sold on the exchange for fiat, and the fiat can be pushed to the merchant. Wrap-Up: Jubiter is not only one of the first companies to offer a licensed exchange and wallet, but it is also one of the first to make Crypto spendable. Also, given the importance exchanges play in the Crypto market—gateways to cryptocurrencies—users’ asset and data security should be of utmost priority. However, as most exchanges are unlicensed and unregulated, they have the liberty to be negligible. On the other hand, with exchange and wallet services that launch under legal frameworks, as is the case with Jubiter, users’ asset and data security is not just a part of the company vision but an operational necessity. While the majority of 2018 may have been a bearish period, blockchain technology witnessed an increase in adoption and growth in user base. I personally think that 2017 was the worst thing that could happend to crypto and blockchain. To have such a huge exposure to investors, scammers, money launderers etc. at that stage was not healthy at all. Hopefully in 2019 market will be also quiet and that would allow this technology to move forward. Like I said on telegram: really good read buddy. I like your writing style. Thanks for the heads up. Seems like a great service. Toda gestión debe tener "políticas" o directrices que regulen las operaciones. Esperemos que las regulaciones gubernamentales aplicadas en el mundo de la moneda criptográfica permitan mantener e incrementar la seguridad de las transacciones de este tipo. Excelente trabajo el que vienes haciendo @hatu. Feliz Navidad! glad to read such interesting supportive tech. Some advise if thats OK. Would you then suggest that I move the small amount of Bitcoin I have in my Blockchain wallet to a Jupiter wallet? 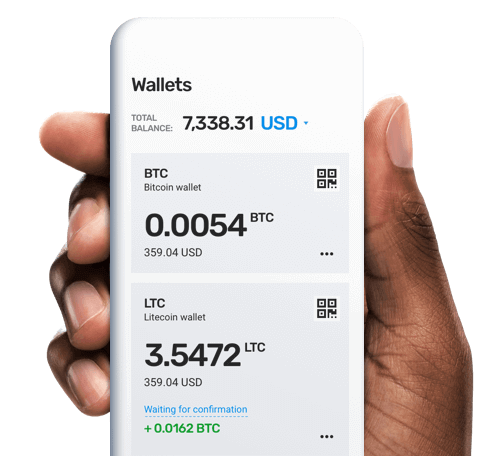 The focus on the wallet security is to point out that those who want to spend their BTC can use Jubiter's service, and they needn't worry about the BTC kept in the wallet while it remains unspent. Plus, it's a welcoming service for novice Crypto users. Thank you I will investigate further. Are their fees competative? While Coinbase charges a flat fee, Jubiter charges a percent. So, if you want to buy small amounts, an exchange with a percent-based fee is the more competitive outlet. 2019 will make 2016 look like 2014. The card would be incredibly convenient. We really need more positive news, thanks for sharing! Very helpful article. Thanks for this post. However, Jubiter is licensed for both exchange and wallet services, and aims to use these facilities to make Crypto spendable. A great advancement in the crypto world! Thanks for sharing. Excellent article brother I congratulate you, it is an important and guiding information !!! Thanks for this! I just wanted to share this article for everyone. Past is a lesson for us. This is worth reading..
You've forgotten The Gibraltar Blockchain Exchange. Gibraltar Blockchain Exchange first in world to acquire full licence. I read it the first time and have already responded. 2019 will be the key for Crypto. US congress is coming up couple of bills that will put more regulation and there by more trust on Crypto.